You can easily add pan, tilt, zoom and other effects to your time-lapse images — in the camera without extra equipment or computer editing. The high-resolution still images you created for a time-lapse movie are used to create a new HD-quality time-lapse movie with even greater impact. This app will not work on its own. Use this app after launching Time-lapse Ver. 3.10 or later. Note that this app will not appear in the Application menu after it downloads. You can confirm the app’s information or delete it from the Application > Application Management menu. 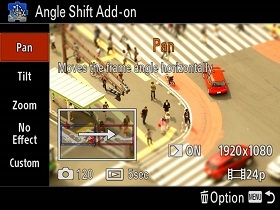 To install “Time-lapse” and “Angle Shift Add-on”, 9.6MB of available space is required. 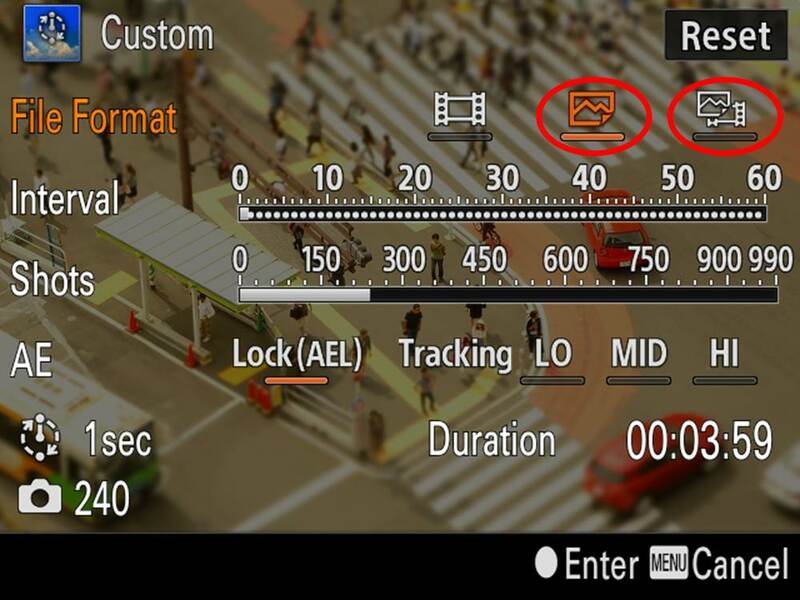 Set the File Format to "Still image" or "Still + Movie" and shoot time-lapse images. 1. Launch the Time-lapse app. 2. Press Menu on the standby screen and select Angle Shift Add-on. 3. Select a group of still images taken with the Time-lapse app and press Menu. 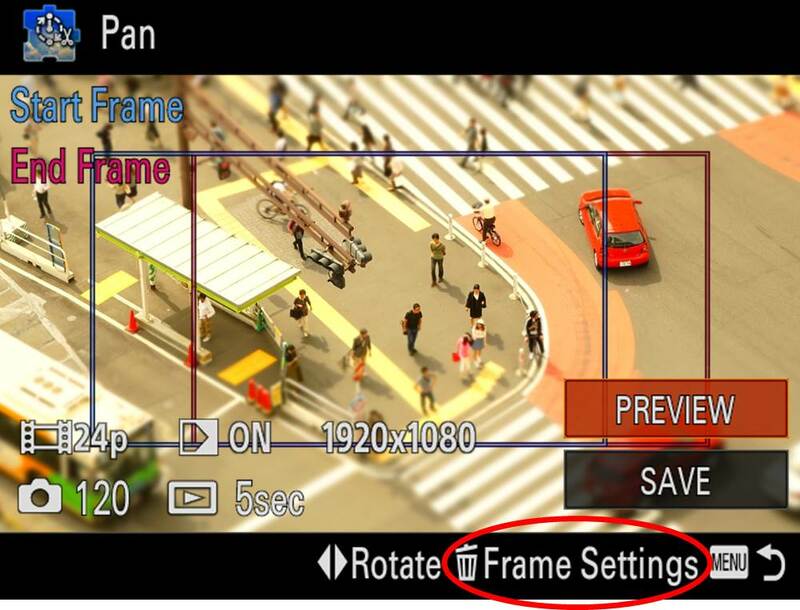 Select the type of effects in theme selection (pan, tilt, zoom...). Adjust the Start and End frames to create a movie. This movie is saved as a time-lapse movie file in the camera. Play the time-lapse movie or transfer it to a computer.